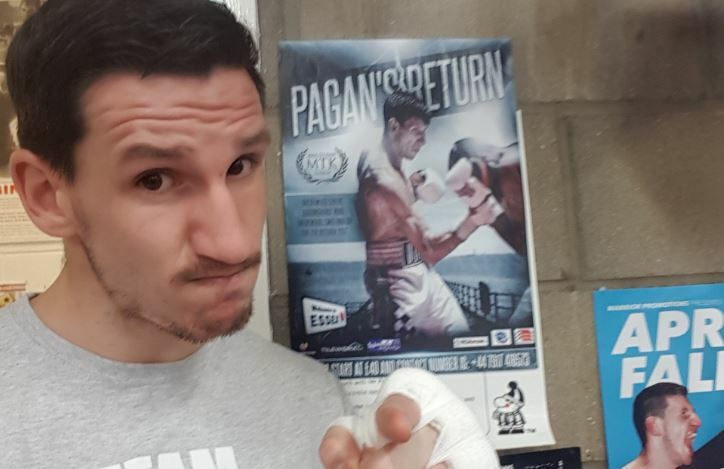 Welterweight Davis Pagan reckons he is seeing the benefit of MTK Global’s initiative to stream their London events on Youtube. The 27-year-old featured on a number of the promotions shows last year as he extended his record to 7-1. MTK have enjoyed a huge growth themselves in recent months with the signings of Carl Frampton, Tyson Fury and MMA star Darren Till. They began to stream their shows via Kugan Cassius’ IFL platform and Pagan is a big fan of the idea. “It’s huge exposure to be shown on YouTube – anyone around the world can watch you,” he said. “I’ve got friends all over the place that can’t come to my fights but they still feel part of it. “MTK are huge now, absolutely huge – just look at some of the fighters they have now so its great for me to get the opportunity to box on their shows. The former St Pancras, West Ham and Holland Park amateur took time off over the Christmas period after losing his Grandad – whom introduced him to the sport. “I did take some time off over Christmas, I had something like 3 fights in 8 weeks. “Then I lost my Grandad too – I was very close to him and I felt like I needed a break from it all. “My wife and I went away for Christmas, it gave me time to recharge and was brilliant.